READING, Pa., July 5, 2017	(Newswire.com) - Donald M. Uhrig Jr. is the president of three highly successful companies — Uhrig Construction, Uhrig's Professional Painting and Paperhanging, and Hannahoe Painting — in Reading, Pennsylvania. With decades in business, Uhrig's companies are the area's leading experts in beautifying homes and businesses in Reading. Their websites and online presence, however, needed some updates and renovations to help all three companies remain competitive in their respective industries. After an assessment and analysis of their existing online presence, DaBrian Marketing designed a modern website for each company and ramped up the sites' search engine optimization (SEO) to make them appear higher on Google and other search engines. The Uhrig Companies can also turn to DaBrian Marketing for content marketing when in need of contextual information that website visitors would find appealing and useful. The local SEO experts at DaBrian also created, verified, and optimized the local listings of all three businesses to enhance the visibility of each within their local market. SEO is most effective through continuous maintenance of online accounts and providing current or potential customers with correct information. In addition to providing more user-friendly content, DaBrian Marketing gave each visitor a better visual representation of each company. The agency made it easier to find more information about each company, stated the details of their services, provided easy-to-find contact information for team members, displayed information about previous projects, and improved contact forms to make it easier for customers to contact each company and find directions. Each website is now mobile and tablet friendly, so the websites look great on any size screen. DaBrian Marketing Group also improved and expanded the social media presence for all three companies. Uhrig's Painting and Hannahoe had previously established Facebook pages; DaBrian helped all three companies become more active on Facebook, as well as on Twitter and LinkedIn, by claiming or creating the social media accounts. The companies' social media accounts provide industry information and company updates featuring new products and employees, helpful tips for interested homeowners and business executives, and as a source of constant customer service. DaBrian also made it easier for visitors to access each business's social media channels. Senior Vice President, Teri Yeager, says, "We are very pleased with the value we received investing in our companies, the fresh new look of our websites, our online presence and our decision to partner with DaBrian Marketing. Working with the team at DaBrian has been a great experience: extremely responsive, always there to walk us through the processes and keep us on task every step of the way. The attention we received made us feel like we were their top priority." 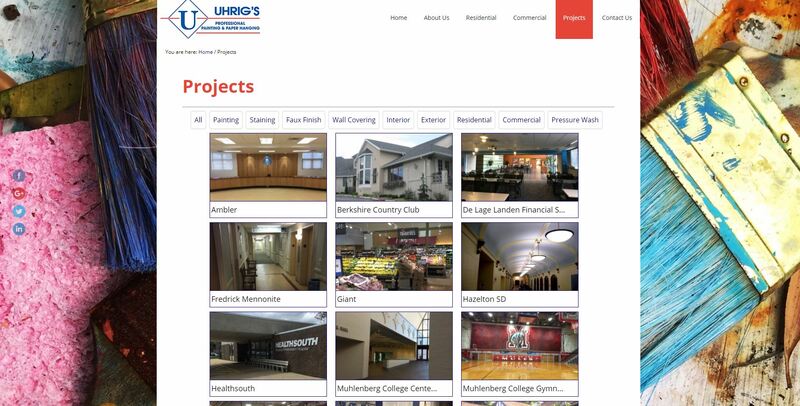 Visit the newly designed websites and find the social media accounts of Uhrig Construction, Uhrig's Painting and Paperhanging, and Hannahoe Painting respectively at: www.UhrigConstruction.com, www.Uhrig.com, www.Hannahoe.com. Uhrig's Professional Painting and Paperhanging has been family owned and operated since 1950. 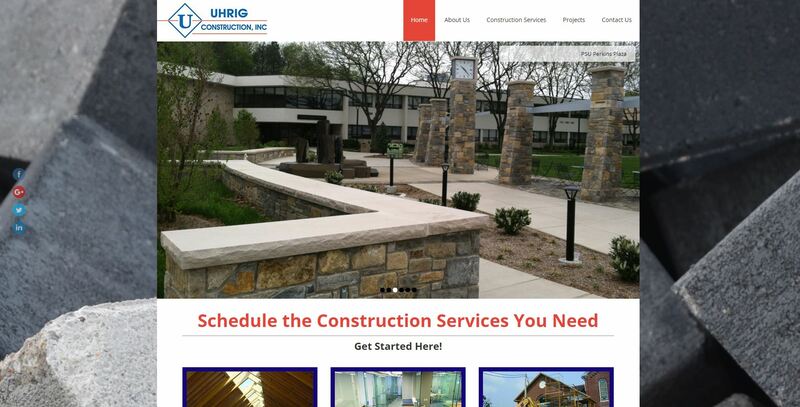 Uhrig Construction was incorporated in January 2001. Hannahoe Painting was formed in 1980 then joined DMU Enterprises, Inc. in 1995. The headquarters for all three companies is at 1700 North Fifth Street in Reading, Pennsylvania. Contact Uhrig Construction by calling (610) 373-1612 and Hannahoe Painting by telephoning 610-373-9743. Reading residents can contact Uhrig's Professional Painting and Paperhanging by calling (610) 373-8814; those in Allentown call (610) 435-0256, customers in Bryn Mawr can phone (610) 525-6779 and those in Pottstown may dial (610) 323-3110.